Not to be confused with triazine or triazane. Triazene, also known as triazanylene, is an unsaturated inorganic compound having the chemical formula N3H3. It has one double bond, and is the second-simplest member of the azene class of hydronitrogen compounds, and is not found in nature. It is also the name given to the functional group consisting of an amine directly bonding to an azo group, i.e. with the linkage R1R2N-N=NR3 where R1, R2 and R3 are substituents. The functional group is also called a diazoamino group (but only one of the two substituents R1 and R3 may be hydrogen) because it is related to a diazo group. 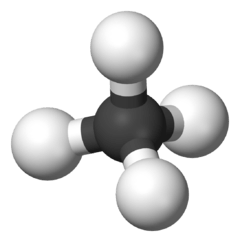 At room temperature, triazene is a gas and, as with many other azenes, it is also coloured with a strong and unpleasant smell. 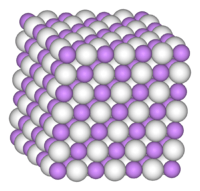 Triazene has a higher density and boiling point than diazene due to its greater mass. It has a slightly lower boiling point than triazane and is thus more volatile. 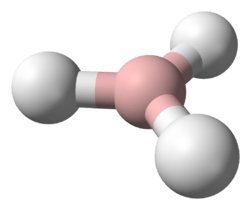 It has strong polar bonds, and the molecule has a large dipole moment due to its reduced symmetry. Triazene has the same empirical formula as cyclotriazane but their atoms are connected in different ways, making these molecules structural isomers. Some anti-cancer medications are called triazenes because they contain a triazene functional group. The triazenes are a group of alkylating agents used to treat cancer. Examples include dacarbazine and temozolamide. They work by methylating guanine at the O-6 and N-7 position. To date, the only proven method to produce triazene is the spontaneous decomposition of tetrazane into triazene and ammonia. Triazenes have been used as in situ diazonium source. Triazenes decompose in the presence of protonating or alkylating agents into quaternary amines and diazonium salts. A strategy for the protection and deprotection of sensitive secondary amines is based on this principle. Triazenes can be reacted with sodium sulfide in the presence of trichloroacetic acid to give the corresponding thiophenols. In another example, the synthesis of cinnoline was accomplished by Richter reaction of triazene-masked diazonium ion. ↑ "triazene (CHEBI:35468)". Chemical Entities of Biological Interest. EMBL-EBI. ↑ Lazny, R.; Poplawski, J.; Köbberling, J.; Enders, D.; Bräse, S. (1999). "Triazenes: A Useful Protecting Strategy for Sensitive Secondary Amines". Synlett. 1999 (8): 1304–6. doi:10.1055/s-1999-2803. ↑ Kazem-Rostami, M.; Khazaei, A.; Moosavi-Zare, A. R.; Bayat, M.; Saednia, S. (2012). "Novel One-Pot Synthesis of Thiophenols from Related Triazenes under Mild Conditions". Synlett. 23 (13): 1893–6. doi:10.1055/s-0032-1316557. ↑ Goeminne, A.; Scammells, P. J.; Devine, S. M.; Flynn, B. L. (2010). "Richter cyclization and co-cyclization reactions of triazene-masked diazonium ions". Tetrahedron Letters. 51 (52): 6882–5. doi:10.1016/j.tetlet.2010.10.122.